Use Nestr.io to capture & evolve your governance records, hold Holacracy meetings and track your projects and next actions. 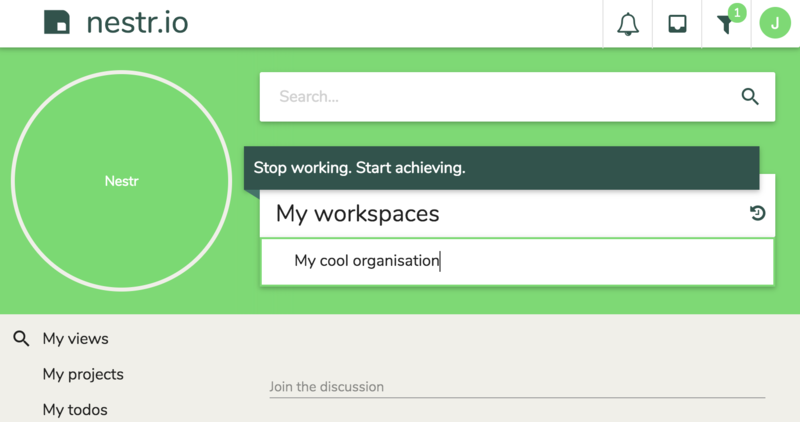 Nestr.io offers full support to run your Holacracy powered organisation. This article lays out the simple steps to enable this for your organisation. For an overview of the available Holacracy features, check out this article. Check out this features article to see what we offer. 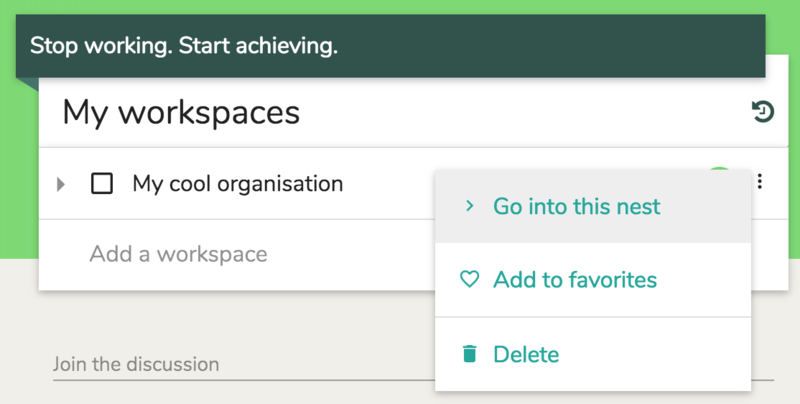 Create your organisation as a workspace simply by typing the name of your organisation in the empty workspace line on your home screen of Nestr like in this screenshot. Hit enter to save. Then enter this new workspace by clicking on the line or by using the 'enter nest' option on the right as shown on the screenshot. Once inside the nest (remember, nests are just like folders - you can navigate them) you click the settings icon. 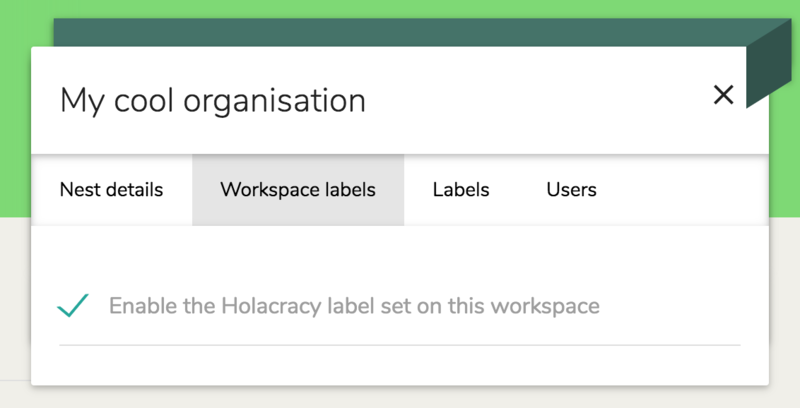 There you navigate to the 'Workspace labels' tab and 'Enable the Holacracy label set on this workspace' and click the 'X' in the right top to move back to the front of the workspace. 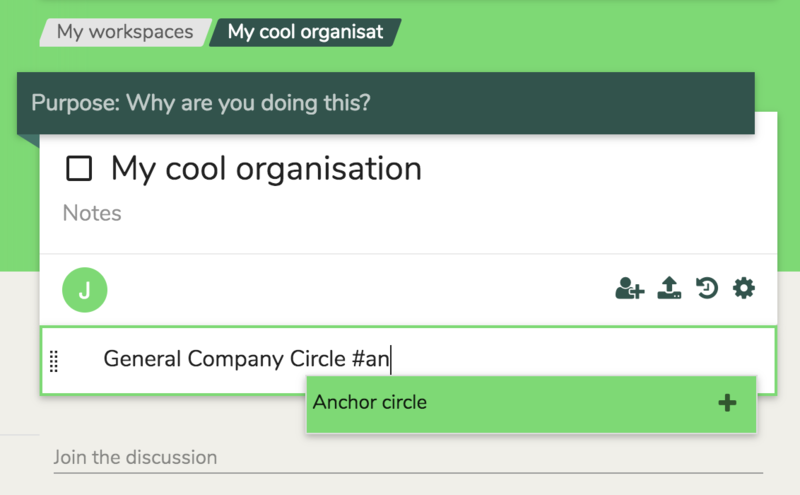 We advice you to create your 'Anchor Circle' or 'Top Circle' (usually the 'General Company Circle' or the 'Board Circle') as a child nest of your organisation and add the #anchor_circle to it simply by typing #anch... we will autocomplete it for you. Click on the 'General Company Circle' line to enter the circle and you'll have all features you would want to run your Holacracy powered organisation. In our article 'Available Holacracy Features' we lay out what features and tools are now available to you. Also, if you are already using another tool for your Holacracy organisation and would like to try Nestr.io risk free, let us know and we'll help you import your current governance records, projects and people for you. We even support two-way syncing.